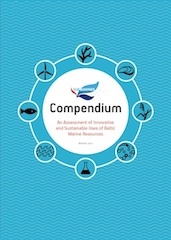 The SUBMARINER Compendium (download as PDF) has been designed to provide, for the first time, a comprehensive picture of the contribution the Baltic Sea Region can make to European wide initiatives on Blue Growth and a sustainable bioeconomy. The current state of knowledge has been gathered and set against the backdrop of environmental, institutional and regulatory conditions for all innovative marine uses investigated within the SUBMARINER project. As a result of this, the Compendium also provides an overview on obstacles and limitations to more widespread adoption or expansion under current conditions as well as recommendations to address these obstacles. 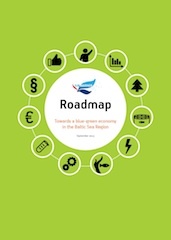 Based on the findings of the Compendium, the SUBMARINER Roadmap (download as PDF) promotes new initiatives in the field of sustainable and innovative uses of Baltic marine resources. The focus is on the key issues that require joint efforts in the Baltic Sea Region in order to enhance blue-green growth in the region while sustaining and improving its natural capital and, in particular, the Baltic Sea itself. The SUBMARINER Roadmap serves as the reference document for the SUBMARINER Network which was granted flagship status under the Priority Area “Innovation” of the revised Action Plan of the EU Strategy for the Baltic Sea Region.